The Eagles brought in Chip Kelly in 2013 and it turned out very well. The Eagles offense burst to the top of the rankings with Kelly's up tempo style. The team won the NFC East and look to continue to improve on that in 2014. Philadelphia also has some controversy in the offseason, as DeSean Jackson was released by the team, only to be signed by rival Washington, however, they did a good job replacing his play-making abilities by signing Darren Sproles, and drafting Jordan Matthews. 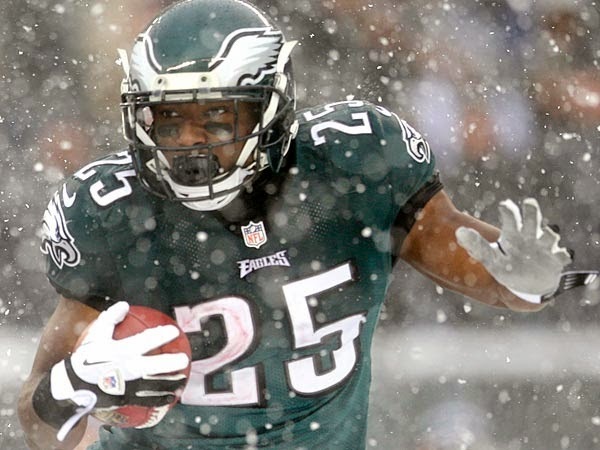 We expect the Eagles to have an excellent year, and contend for the NFC championship in 2014. The Eagles are looking strong at the skill positions with McCoy, the 2013 NFL rushing champion and league leader in total yards from scrimmage at RB, Jeremy Maclin, Riley Cooper, Jordan Matthews, Zach Ertz, and Brent Celek as pass catchers, and Pro Bowler Nick Foles at quarterback. The addition of Darren Sproles via trade with New Orleans makes this unit even more exciting. We anticipate an excellent year out of this offense, and are buying at all levels of fantasy football, especially QB. The Eagles defense raises some concerns for 2014. The additions of Nolan Carroll and Malcolm Jenkins could improve the secondary, but we don't see a unit that will drastically improve from its 28th ranking in yards allowed or it's 17th ranking in points allowed. The Eagles offense will put up points, so expect the Eagles defense to be in shootouts most of the year, causing them to give up plenty of yards and scores. In terms of IDP, Cole, Ryans, Kendricks and Jenkins are safe options.